The Central Government has introduced a bill, seeking to amend the Right to Education Act, in the Lok Sabha. The new amendment will allow elementary teachers to get minimum qualifications as mandated in the act till 2019. According to the existing Act that came into effect from April 1, 2010, teachers were to acquire minimum qualifications within five years by March 31, 2015. 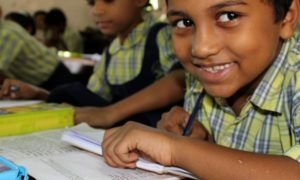 Minister of Human Resource Development Prakash Javadekar introduced the ‘The Right of Children to Free and Compulsory Education (Amendment) Bill, 2017’. The new bill has been brought to enable the state governments to continue the training process for in-service untrained teachers. Subsequently, the state governments had requested for extending the period for “training untrained teachers so as to enable them to initiate and complete the said the training process”, according to the Statement of Objects and Reasons of the bill. 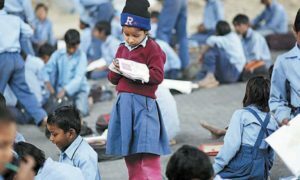 The new amendment will also insert a new provision in the Act to provide free and compulsory education to all children of 6 to 14 years of age, reported The Economic Times. Under the new provision, “every teacher appointed or in position as on March 31, 2015, who does not possess minimum qualifications… shall acquire such minimum qualifications within a period of four years on and from the date of commencement of the proposed legislation”. The expenditure for training of untrained teachers would come from the approved allocation under Sarva Shiksha Abhiyan programme and shared between the Centre and the State governments. “It is estimated that a nonrecurring expenditure of Rs 453.62 crore involved would be carried over to subsequent years to complete the training of untrained teachers by March 31, 2019,” the government said in the financial memorandum of the bill.